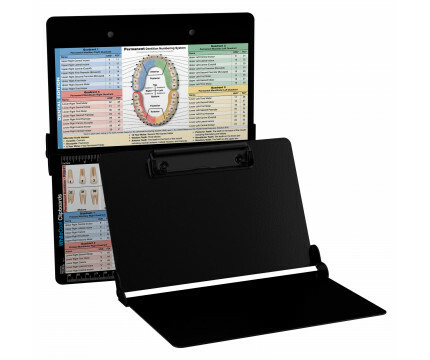 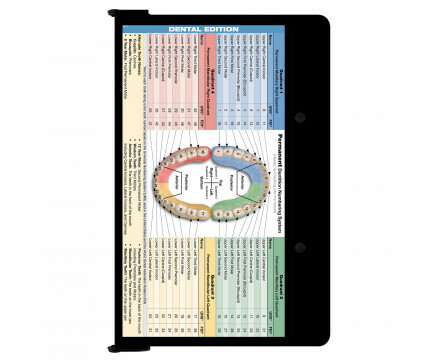 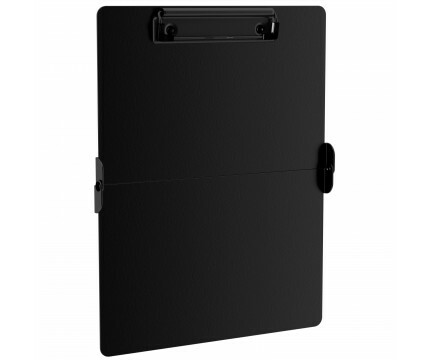 This is a one-of-a-kind patented full size folding clipboard made of lightweight aluminum designed for the dental community containing anatomical locations of daily referenced teeth. 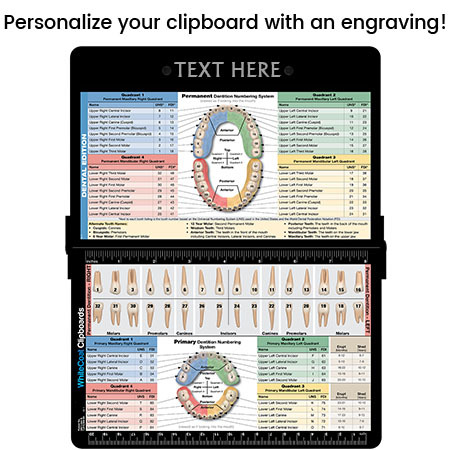 The Dental WhiteCoat Clipboard is used by professionals not only to reference locations, but to supply visual detail for dental patients. 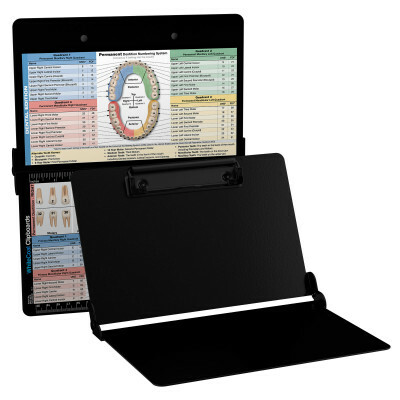 Our unique patent design allows this full size clipboard to fold in half for easy storage and carrying up to 30 pieces of paper without creasing your documents in a HIPAA compliant design. 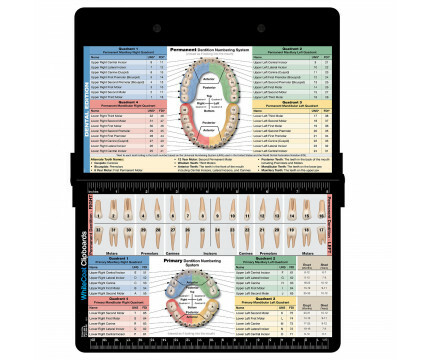 Hover over the above images to see detailed views of the dental information contained on this clipboard.